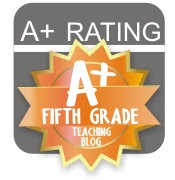 Upper Grades Are Awesome: Math freak out! I love guiding students to be responsible and accountable for their own learning. 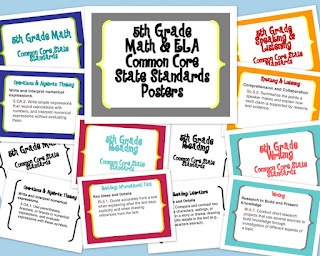 I made these Math and ELA posters to post in my classroom (available for purchase at my TpT store). 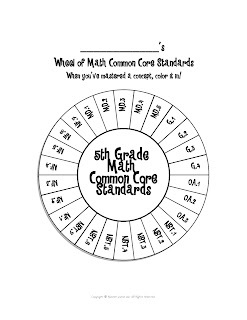 To accompany these posters I thought it would be great for students to have something to keep in their binder to track the concepts that they have mastered, so I devised the Wheel of Math Common Core Standards. 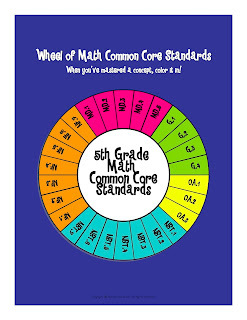 This fun wheel of standards includes all 26 Common Core math standards for 5th grade. Display the colorful copy in your classroom and provide each student a copy of the blackline master to keep in their math notebook. When students have mastered a concept have them color in the appropriate piece of the wheel. This will help encourage kids to be accountable for their own learning and keep them motivated to master every concept! Best of all, these are FREE!